I finally broke down and got a serious printer to replace my Epson Dash 260. I really do not know why because I do not print and have no idea what to do with the photos. On the other hand, I have now an option that I did not have before. This was the determining factor in selecting the Canon Pixma Pro9000 Mark II. 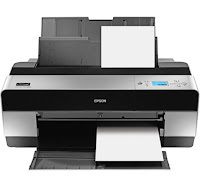 The printers I selected from were the Epson Stylus R2880, Epson Stylus Pro 3880, the Canon Pixma Pro9000 Mark II, and the Canon Pixma Pro9500 Mark II; they are all inkjet printers. I am very aware that Printer Manufactures sell ink and not printers. Therefore, the cost of ink was my major criteria in selecting the printer. The one I thought was the best is the Epson Pro 3880, but I did not go for it for many reasons. Epson Stylus R2880: This was the printer I was really interested in because of the price and capabilities. However, I could not get how many ml of ink in each refill cartridge. I called Epson and the rep was excellent and very helpful. He did say that Epson does not give the information on how many ml of ink/cartridge. He did give me an estimate of how many photos the different color cartridges are rated for. To me that information is useless because we are talking about draft mode and photographs without much color in it. At the end of his presentation, the rep asked me if he was helpful. I responded that he was more than helpful, because I decided not to get the printer. My question was very simple to ascertain a fact in order to compare this printer with others. If Epson does not want to divulge something they should, it is because they are trying to hide something. The R2880 was discarded form consideration. Epson Stylus Pro 3880: This is probably the best printer of the four and the most expensive - $1,200. Its biggest advantage is the content of ink in each cartridge - 80 ml. Each cartridge costs $60. Therefore, the cost of 1 ml is $.75, the cheapest. However, what was its biggest advantage it became its biggest drawback. I would have at least $600 invested in ink at all times. Printers go bad - it is a fact. With the 3880, I would not only lose a printer but also $600 worth of ink. In other word, Epson lowered the price of ink, but you have to buy in bulk. There is another thing that I do not like about Epson. Each printer has its unique ink cartridge. If the printer is discontinued (sooner or later it will be) Epson will continue manufacturing the cartridge, as a legacy service, but at a higher price. Canon Pixma Pro9500 Mark-II: This would have been my printer of choice after the two Epsons were not longer considered. It is a pigment based ink that it is best for matte and art paper. It also has 10 cartridges with two extras black cartridges. It is excellent for B&W photos. However, I became a bit apprehensive with the users' review from many places like B&H, Adorama, Amazon, and others. It got raving reviews except that every 10th one or so, was extremely negative - "stuck with the printer, not sharp, and I got better results with my previous $90 photo printer." In addition, I have not printed in B&W and I do not know if I will ever go in that direction. According to the Canon rep, the 9000 and 9500 are exactly the same printers. The 9500 is better because of the Lucia, pigment base ink, and the 10 cartridges. However, it is a 3 picoliter droplet as opposed to the 2 picoliter droplet with the 9000. Therefore, the difference between the two canon printer is minimal, unless if I print with art paper or B&W. Canon Pixma Pro9000 Mark-II: This is the printer I chose. As I stated before, I have no idea how much I will use the photo printer. If I use it a lot, then I would upgrade to the Epson 3880. However, the 9000 costs $349 after the mail-in rebate. It is better to make a $350 mistake than a $1,200 one. So far, I'm really impressed with the Canon 9000 - very well built and very nice photos. In addition who is going to see the photos? My friends and me. I do not think that the Library of Congress, the Smithsonian, or any other institution will be knocking on my door. In other words, it is much more that I will ever need. The ink cartridges contain 13.8 ml of ink; the cost is ~$ .92 per ml. 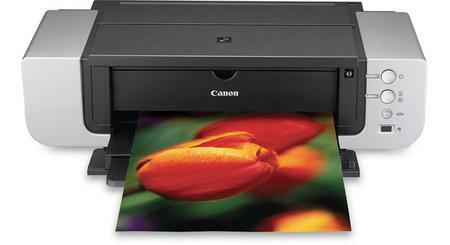 In addition, many Canon photo printers use the CLI-8 ink cartridges and not just one. For the last week or so, I have been really "under the weather," sick with stomach problems+. It was not enough to go to the hospital sick, but close enough. I'm beginning to get better. However, I have not been able to really test the new X1 or the Sigma 50mm Macro. If there are any issues with them, Leica or Sigma will have to resolve them, but I do not think it is even a remote possibility.